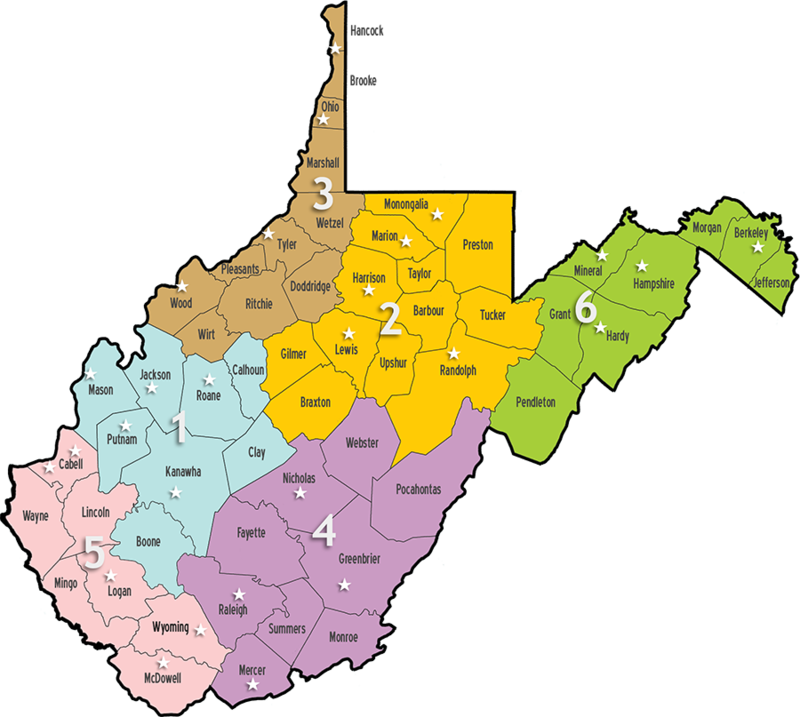 DRS maintains more than 30 local offices organized into six districts throughout West Virginia, as illustrated by the map below. Locations and contact information for each office are listed here. Hours of operation for all DRS offices are 8:30 a.m. to 5 p.m. weekdays. Offices are closed on all state holidays. If you provide us with some basic information using our online contact form, a vocational rehabilitation professional near you will contact you by telephone or e-mail. A printable list of DRS offices in Adobe Reader format is linked to the map above.